The weather forecast for this week in Wales is looking pretty bleak! 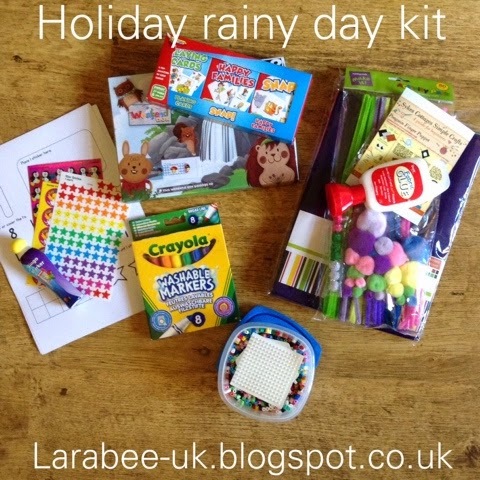 I thought I'd bring along some activities to keep T occupied in case we're rained in. 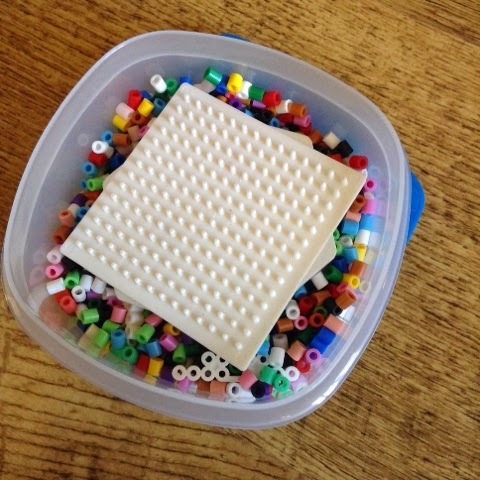 I've put them in a small bag and he's not seen most of these before, just to make them a little more exciting! 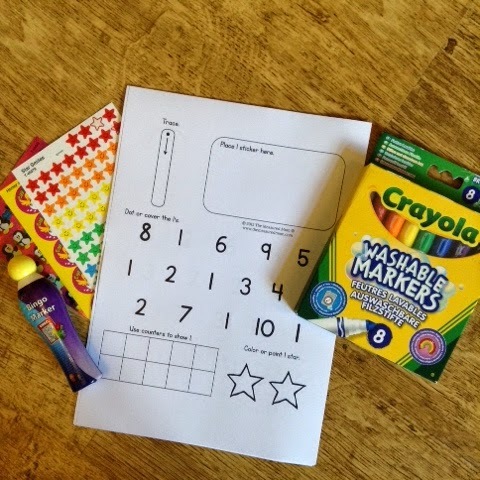 First I have printed some number worksheets from TheMeasuredMum oh how I wish I'd have come up with these, they are such a great idea, a bit of colouring, stickers, bingo pen stamping and circling all on each sheet. 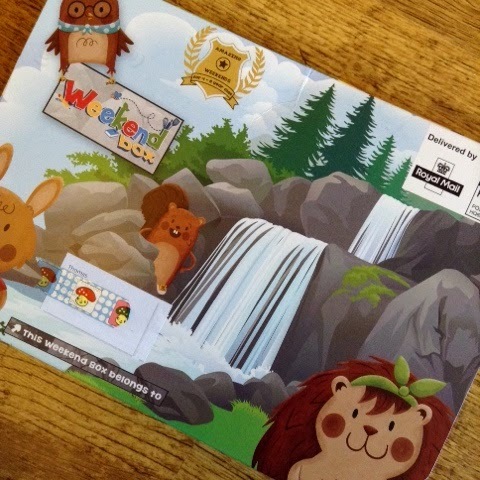 I really must for any parents trying to help out with learning numbers. This weekends Weekend Box always guaranteed to find a couple of easy activities in there. 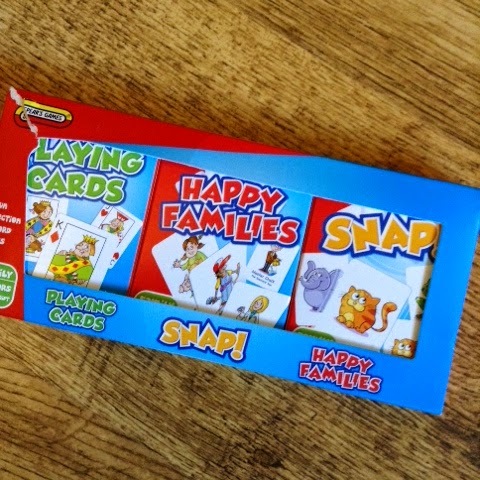 Card games, we will probably use the snap cards to play 'pairs' more than snap and won't use the playing cards, but T loves cards so I know he'll want to play with these. 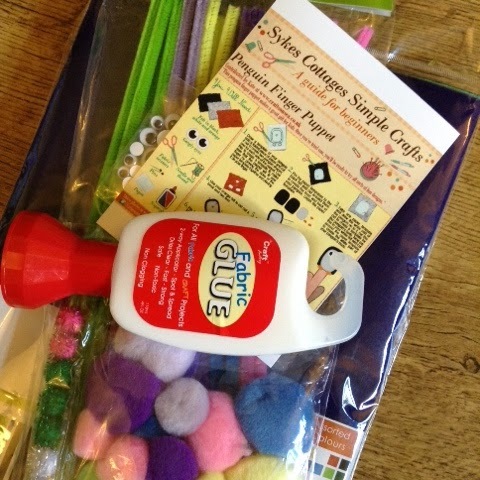 This little kit is for an upcoming review post, any little craft kit could be used. You can find all of our Bluestone holiday posts here. Hope you don't need them, but if you do, you're all set. Brilliant. 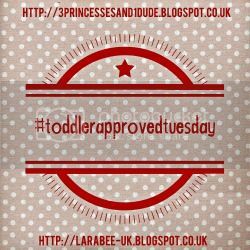 Have a great week #ToddlerApprovedTuesday. I love this Leandra, will be copying and packing it away in the caravan!